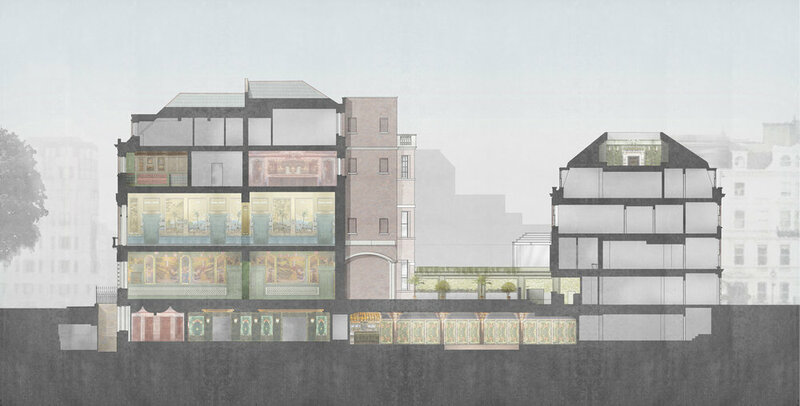 This historic London club has relaunched at no. 46 Berkeley Square, following an extensive refurbishment and adaptation of the existing Grade 1 Georgian building. PLA were instrumental in the development of this project, securing all necessary consents and coordinating all aspects of the design. Highlights include multiple bar and dining environments, designed to a luxurious standard befitting this exclusive private members club. There is an additional basement storey and an extended terraced garden providing front and back of house space and serviced by a suite of new kitchens located in the remodelled mews building. 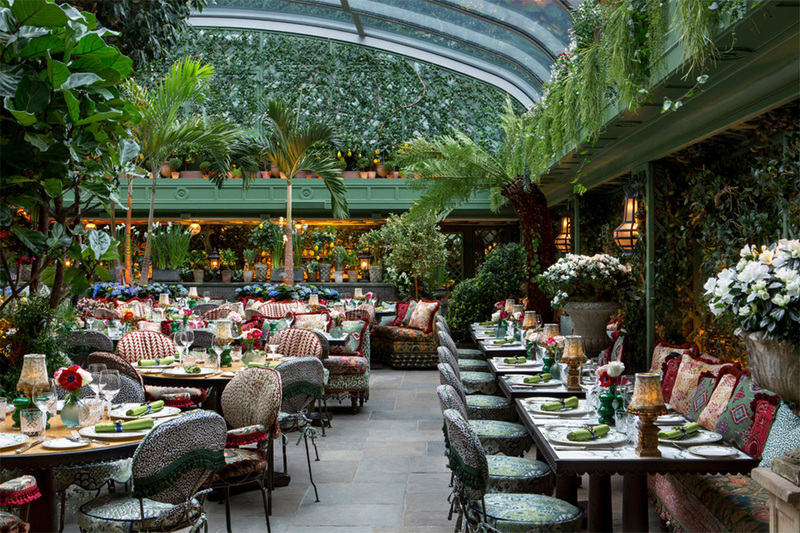 The terraced garden has an automatic, fully retractable clear-glazed canopy which provides for flexible day and night time use as a dining and club environment. The interior designer for the project was Martin Brudnizki Design Studio.